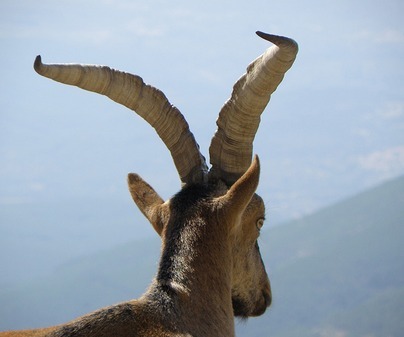 Although females and males have antlers that never fall off along the animal’s life, it is the Iberian ibex male who shows the biggest branch. 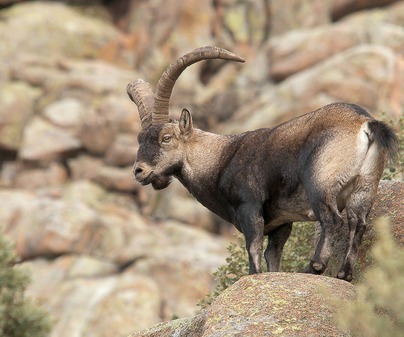 Not by chance, as it uses its antlers to fight during the rut, with strong impacts against its rivals. Like in any other antler trophy, length, perimeter and size are relevant to measure its value. But it is its curvature, higher as the animal grows older, what provides it with a significant beauty. 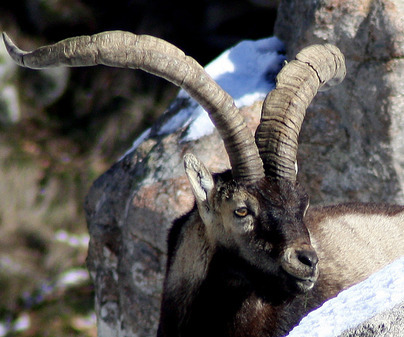 Both antlers open up during growth towards the outside, to twist on the tines, which awards the hunter the highest score. 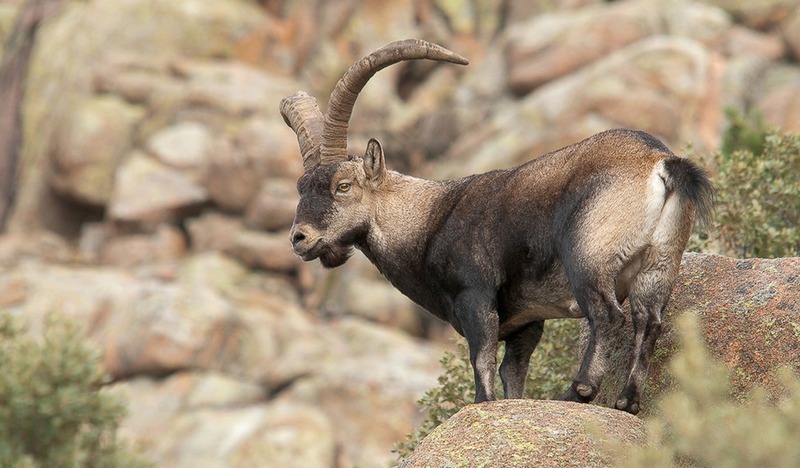 Pyrenean ibex or Iberian ibex is a species, unique in the world, which only survives within the Iberian Peninsula. 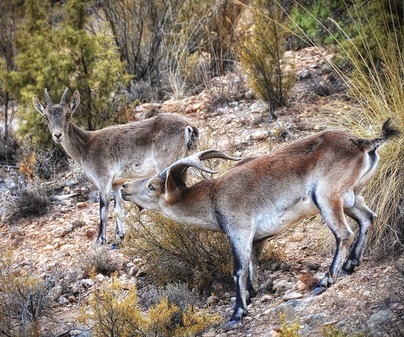 Nowadays its population in Castile-La Mancha is distributed among Cuenca Mountains, Alcaraz Mountain range in Albacete, and Madrona Mountain Range in Ciudad Real. Its hunting is only carried out through stalks, selecting male adults and selective specimens that warrantee the species spreading and preservation. It coincides with the hunting season set for big game hunting, between November and February.